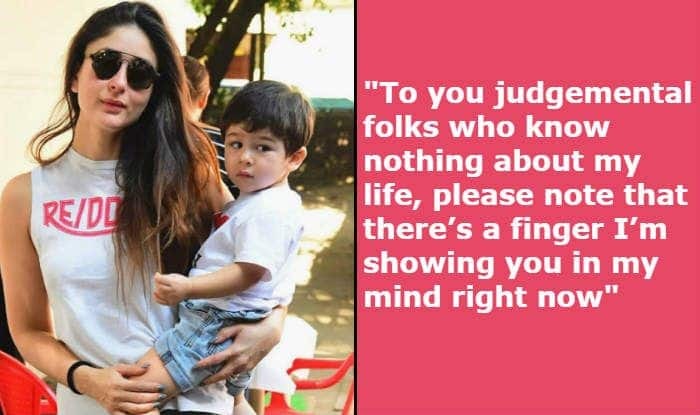 Kareena Kapoor says she was trolled for a picture in Taimur was seen being held by his nanny instead of her. Kareena Kapoor Khan is a doting mother to her two-year-old child, Taimur Ali Khan. The actor is often trolled for her photographs on social media by people who think she shouldn’t be giving her kid’s responsibility to a nanny and instead should take care of him herself. Kareena thinks otherwise. On her chat show recently, she was having a discussion with another celebrity mother and her sister-in-law Soha Ali Khan. The two talked about common things like sharing a child’s responsibility with the husband, having personal and professional life balance and at the same time being a hands-on mother. During this conversation, Kareena revealed how she felt when she got to know she was being trolled for a picture in which Taimur was seen being held by her nanny. Well, how horrible it is to troll a working mother for the way she keeps her child!